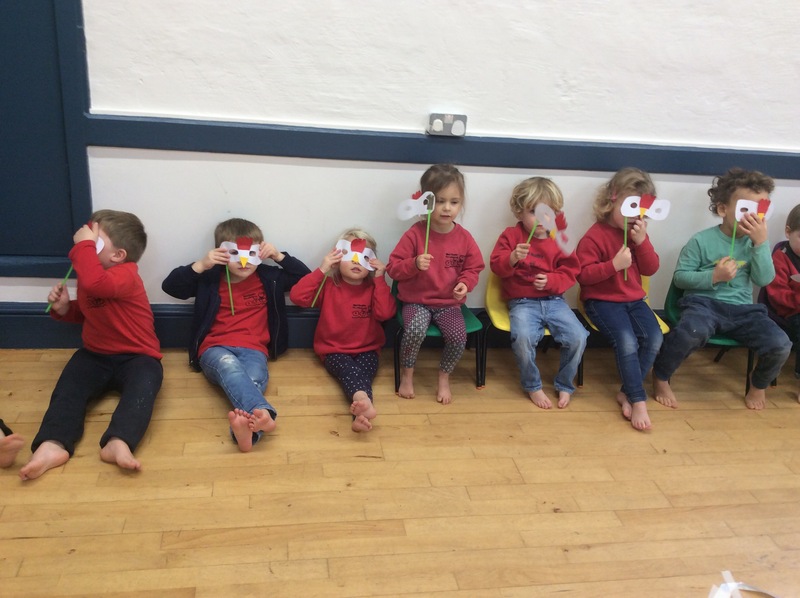 We have continued our Chinese New Year theme this week. 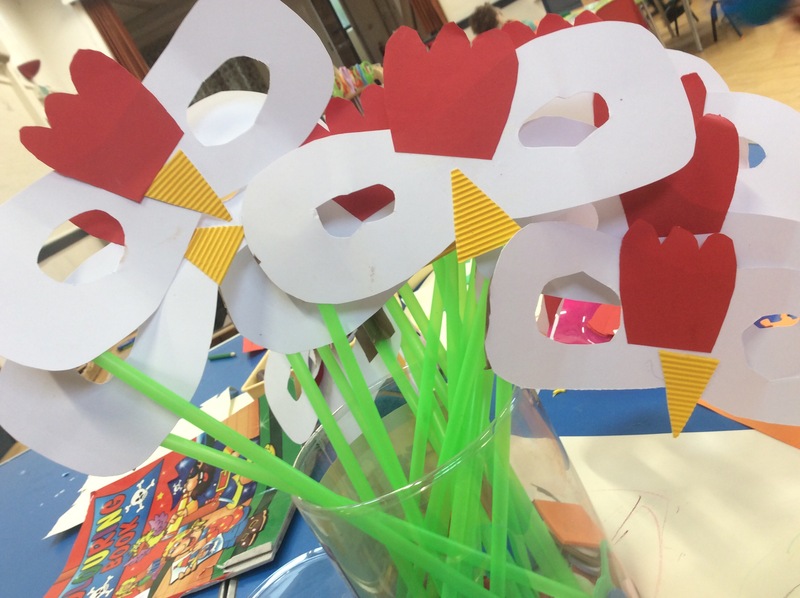 Today we made rooster masks, 2017 is the year of the rooster. 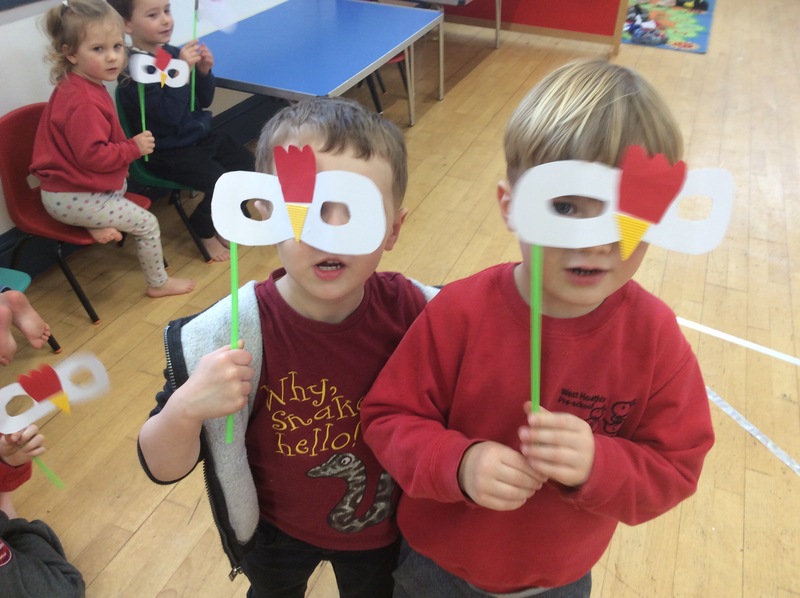 All the children got involved sticking beaks and combs on to their masks. 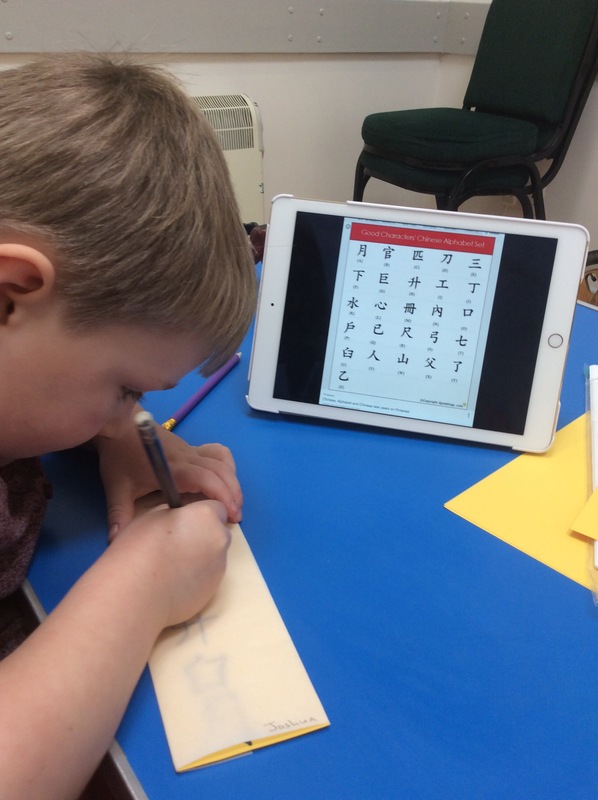 The children have also been learning about Chinese letters and have been tracing their names using them. 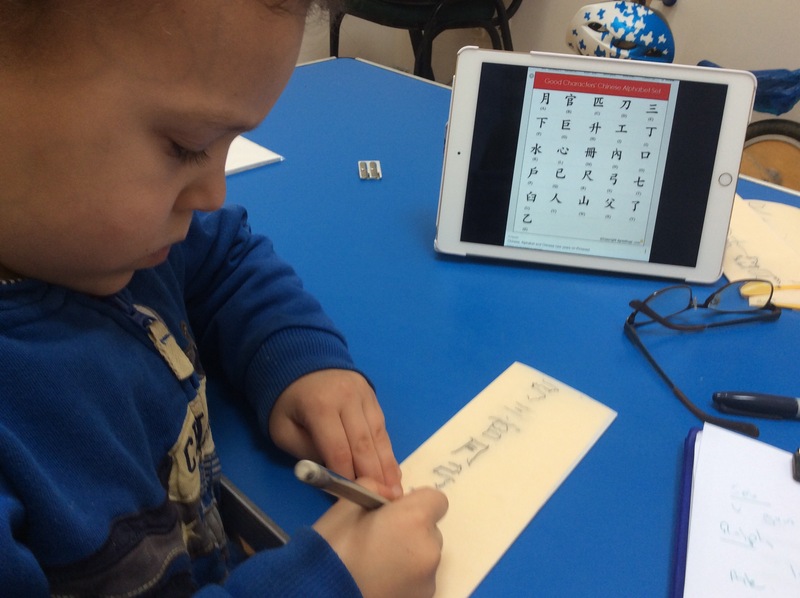 They have been really focused on this activity and have been practising their fine motor skills. Yesterday we used the Geoboards creating lots of great shapes, also some of the children took out the stencils and made some rubbings using wax crayons. 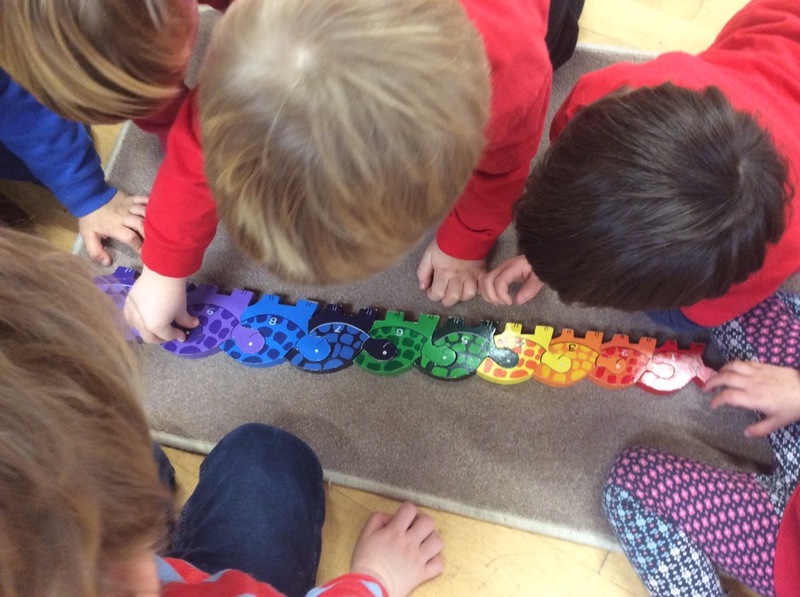 Today at circle time Jane discussed the Great Wall of China with the children, the children got involved asking and answering questions. We used the laptop to look at pictures of The Great Wall, the children commented on how small the people looked who were standing on it. 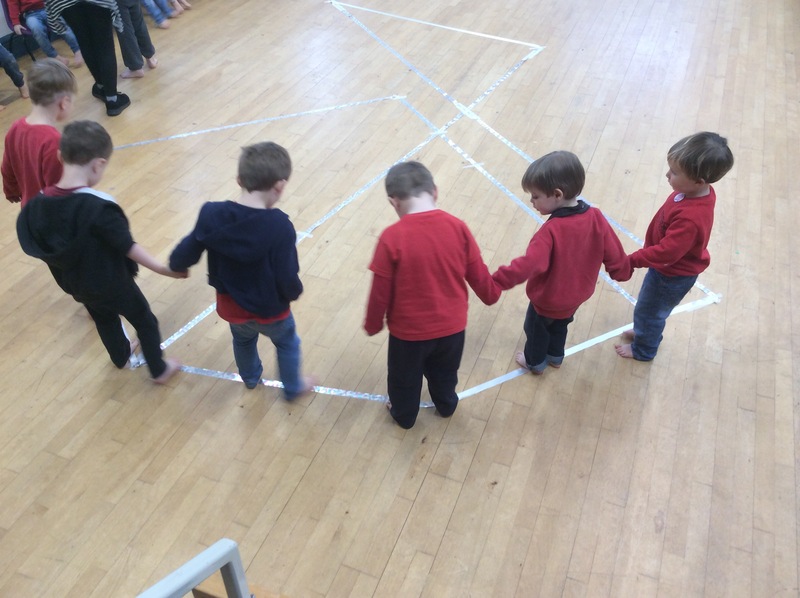 We continued our wall theme after circle time and created a game using ribbon on the floor. 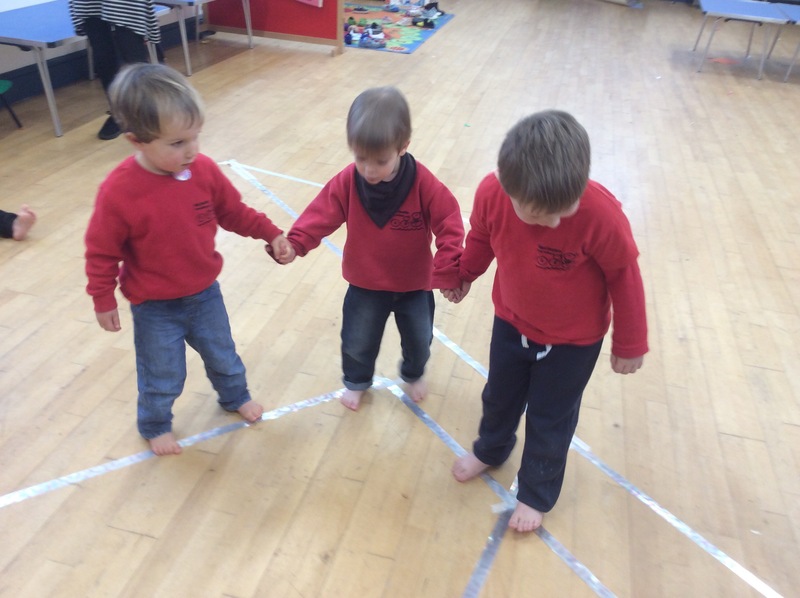 The children had to balance along the ribbon ‘wall’ and negotiate the turns with their partners being careful not to bump into anyone else along the way. 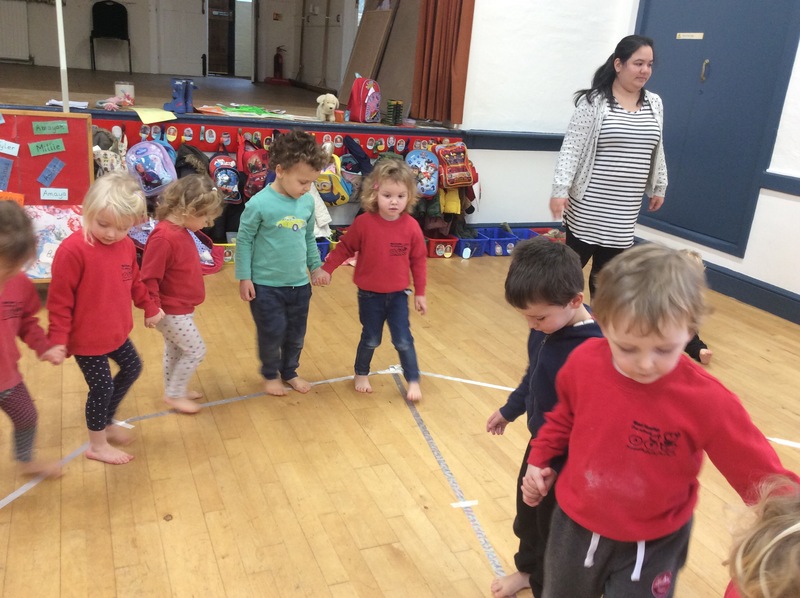 A great exercise in gross motor skills and also their personal, social and emotional development (PSED).